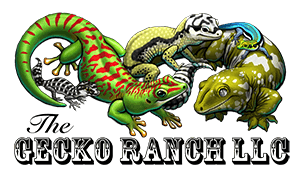 The Gecko Ranch specializes in the breeding, care, and conservation of geckos. Bandit Phase Leopard Geckos. Additional photos are available upon request. Phone: (530) 304-7529 everyday between 10:00am-7:00pm EST. Copyright © 2019 Gecko Ranch LLC. All rights reserved.